Draper’s heavy-duty, molded polyethylene wheeled carrying case. Designed for service and dependability. This case is considerably smaller and easier to manage when compared with any of the similar Da-Lite folding screen cases. Versatility, rugged construction and ease of assembly make a great traveling portable screen. 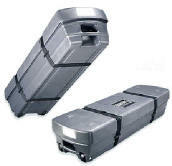 Sets up quickly without tools, and collapses into a compact luggage-type wheeled case for travel or storage. 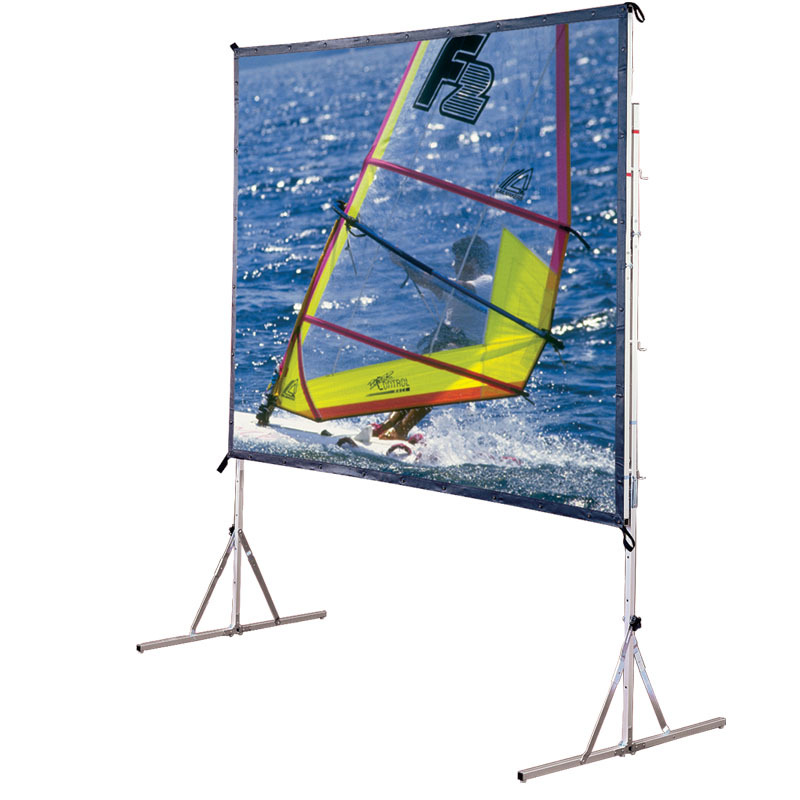 Complete unit consists of frame, standard legs and snap-on surface with protective soft pouch in one polyethylene carrying case. THE CASE HAS WHEELS. It is constructed using rotationally molded polyethylene. Rotational molding pools the plastic in the corners, where it's needed to resist impacts. Has two impact resistant polyolefin wheels molded in wheel wells. Load capacity is 200 lbs. per wheel. Fully integrated handles are molded into each end of the case and a rubber grip handle is recessed into the lid.